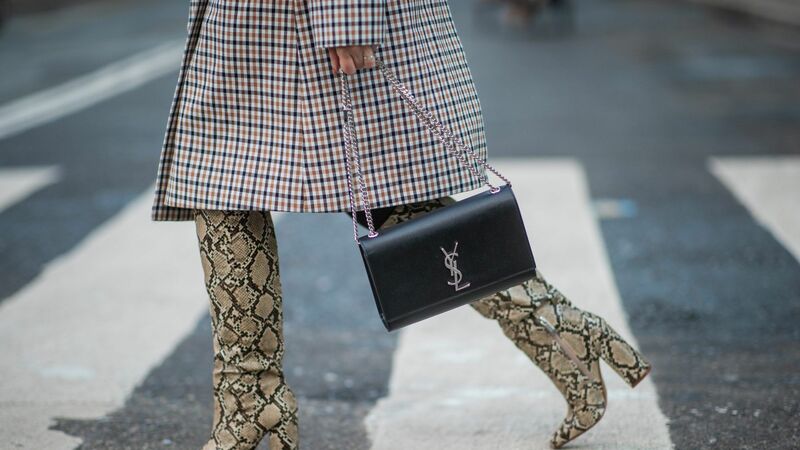 Fashion Month is officially over, but not without an incredibly strong finish by Paris Fashion Week, which packed in a panoply of major fashion inspo from major designers. Many played with proportions—exaggerating '80s-style shoulders to the extreme (some nearly chin-high) and sizing up on outerwear. Speaking of the latter, puffers—often the disgrace of the winter apparel world—got a lot of action on the runway, with styles cropped and pulled down off the shoulder (as seen at Demna Gvasalia's debut collection for Balenciaga) or long and pretty in pink, like at Chanel. We saw colorful velvet—a trend so strong that it survived the journey all the way from New York Fashion Week—in suiting and high-slit skirts. 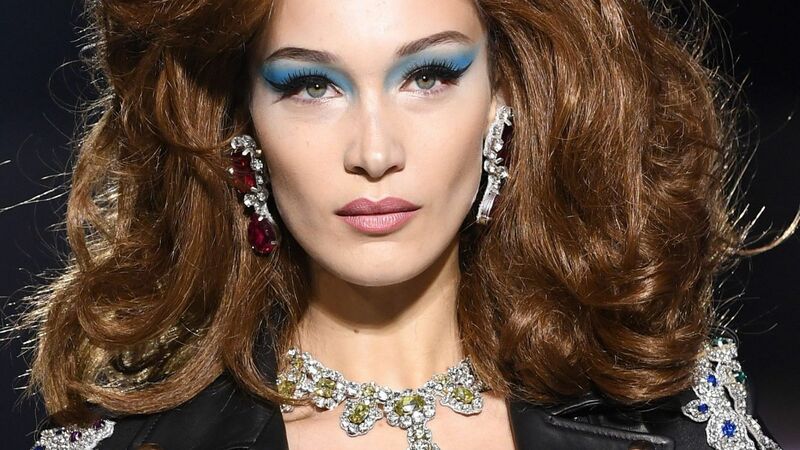 There were statement single earrings, slick leather pieces, feline motifs—yes, that's right, we saw cats—and so, so much more. Scroll through to see (and shop!) the best, très chic moments from the fall/winter 2016 Parisian runways. 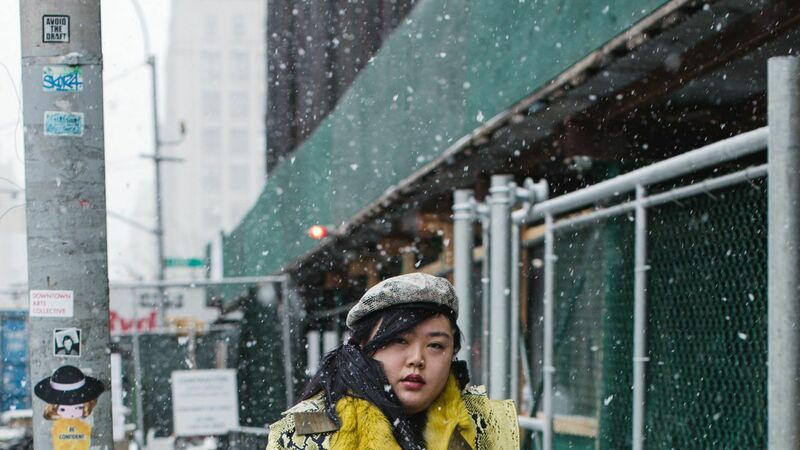 Puffer jackets, often the disgrace of winter outerwear, got the high-fashion treatment with bold crops (stylishly pulled down off the shoulder), too-pretty soft shades, and cool sleeping bag-like versions. A trend so strong, it was prevalent on the runways at New York and Paris. 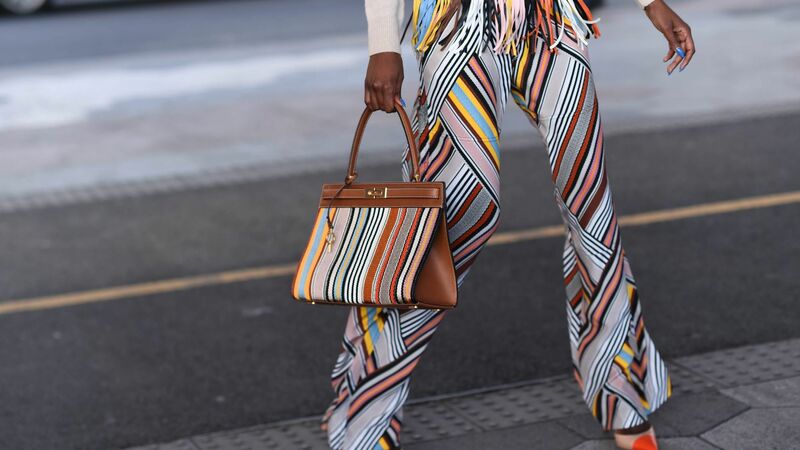 The plush fabric (in every shade, from ultra violet to marigold yellow) blanketed suit separates, high-slit skirts, dresses, and cropped trousers. Designer Clare Waight Keller redefined "new bohemian" at Chloé with zip-up pullovers (that were reminiscent of Patagonia fleeces) and frothy tiered skirts. From left: Rebecca Taylor skirt, $199 (originally $495); rebeccataylor.com. T by Alexander Wang sweatshirt, $265; net-a-porter.com. Designers played with high-shine materials for fall, experimenting with PVC and patent leather to create trenches, tops, and pants for a super slick effect. The shared detailing that ties all these looks together? Long streamers that flutter with every step and short straps knotted all over. Shearling coats got a reboot when (from left) Demna Gvasalia pulled his cropped version off the shoulders at Balenciaga, John Galliano turned it into a cape at Maison Margiela, Chitose Abe took a deconstructed approach at Sacai, and Nadège Vanhee-Cybulski gave it a hood at Hermès. 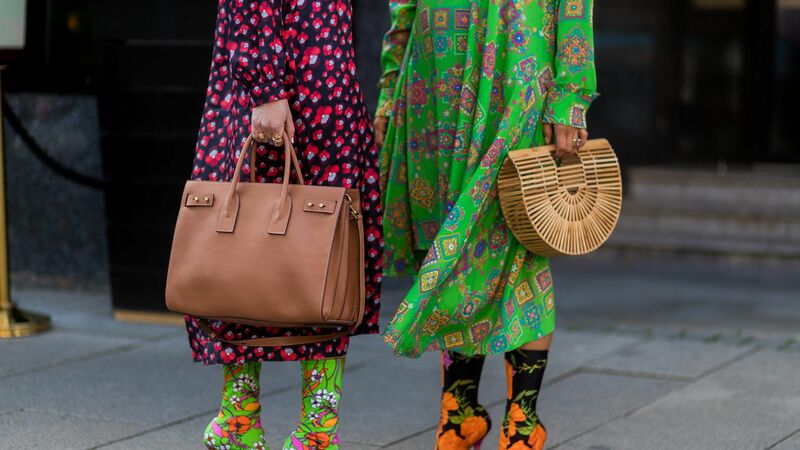 Florals are traditionally sweet and girly, but the ones that flourished on the dresses at Balenciaga and Vetements had a tough, cool-girl bite. From left: H&M skirt, $60; hm.com. Topshop top, $45; topshop.com. Marni pants, $990; net-a-porter.com. Designer Miuccia Prada revolved her fall Miu Miu collection around the most timeless materials ever: denim. Her take on the jean jacket? Sleek tuxes with coattails, sweeping trenches, and a jacket embellished with broderie, velvet, and patches. Transform a top into a turtleneck with a scarf tied close to the neck, like at Nina Ricci (left) and Chloé (center). In Maison Margiela’s case, tie it over a turtleneck for another layer of insulation. From left: Liberty London, $100; liberty.co.uk. Saint Laurent, $216; matchesfashion.com. Emporio Armani, $195; armani.com. Traditional off-the-shoulder tops are worn solo, but select designers upped their layering game with combos we hadn’t thought to try. From left: White tees grounded a ruffled off-shoulder top at Chanel (which revealed a neat splice of skin), John Galliano juxtaposed a preppy polo with a flirty high-shine pinafore at Maison Margiela, and an embellished scoop-neck top gave a floral crop top a dose of sparkle at Dior. The new band jacket is anything but geeky—it was (from left) underground goth at Sacai, futuristic at Louis Vuitton, and regal at Givenchy. Designers tapped into the '80s with structured shoulders that swung from mild (tiny tufts at Emanuel Ungaro, left; padded ones at Balmain, center) to wild (Hedi Slimane’s crazy extreme ones at Saint Laurent, right). The fall 2016 runways proved just how versatile a slip dress can be—layering it under everything from button-downs to knits. The off-the-shoulder trend has even taken over outerwear. At runway shows, like (from left) Balenciaga, Off-White, Acne Studios, and Dior, trenches, moto jackets, and puffers were pulled down to reveal layers underneath. Perhaps not the most practical styling trick, but there’s no question of its allure. From left: Alexander Wang sandals, $640; net-a-porter.com. Asos socks, $7; asos.com. Gianvito Rossi sandals, $875; fwrd.com. & Other Stories socks, $25; stories.com. Give your arms some breathing room with balloon sleeves that puff up around the biceps (perfect for accommodating hard-earned muscles) and forearms. An army of models marched down the Valentino (left) and Louis Vuitton (right) runways with badass combat boots in black and silver. From left: Dr. Martens, $115; drmartens.com. Steve Madden, $140; stevemadden.com. 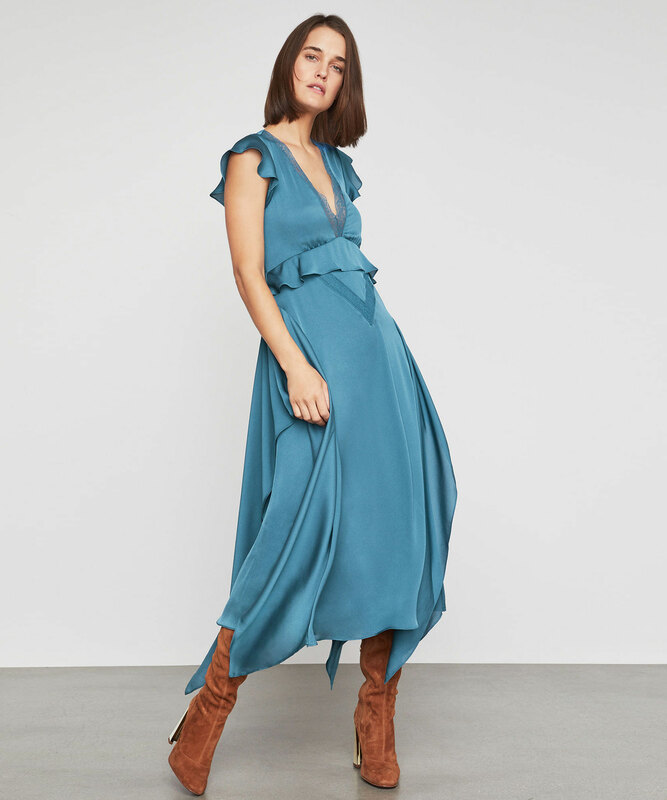 T.U.K., $125; nastygal.com. These are like thigh-high boots for your arms. Treat extra-long gloves as sleeves and layer them under overlapping shirts (as seen at Louis Vuitton, left) or with sleeveless tops to fake a cold-shoulder cut-out (like at Hermes, right). Designers really know how to put the “cat” in “catwalk,” playing with the feline motif in the form of printed teeny-tiny top-handle purses (at Undercover, top center), giant necklaces (at Loewe, right), silver outlined cuffs (at Chanel, bottom center—Choupette, is that you? ), and velvety cut-out dresses (at Alexis Mabille, left). From left: Karl Lagerfeld sandals, $365; stylebop.com. Aamaya by Priyanka ring, $320; net-a-porter.com. Edie Parker clutch, $1,495; saksfifthavenue.com. Phoebe Philo made the case for wearing sandals for as long as you can when she completed her cold-weather looks with summery footwear on the Céline runway. We’re calling it—stirrups are back. First at Marni during Milan Fashion Week and now at Balenciaga (above) in Paris, we have reason to believe that the next wave in athleisure involves stirrups on everything. 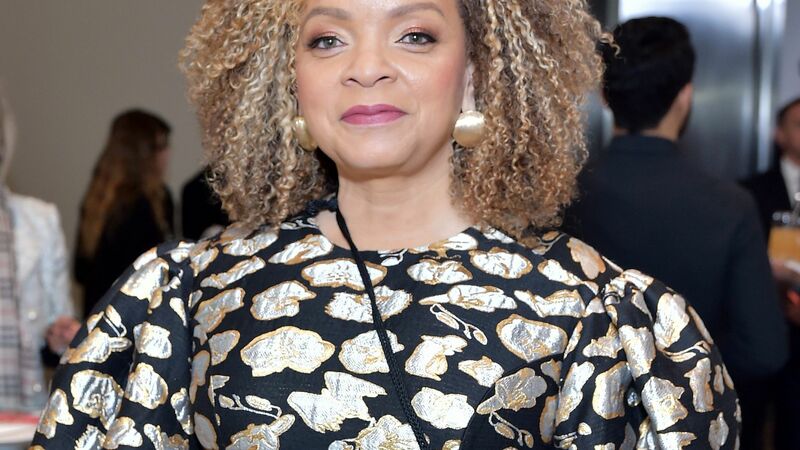 Good things may come in pairs, but there’s something so tough and fiercely independent (not to mention, insanely cool) about wearing one statement earring on its own. Clearly, designers had the same thought—the trend was spotted at (top row, from left) Anthony Vaccarello, Loewe, Sonia Rykiel, (bottom row, from left) Stella McCartney, Isabel Marant, and Mugler. From left: Ann Taylor, $35 (originally $50); anntaylor.com. Lele Sadoughi, $135; neimanmarcus.com. Sophie Buhai, $550; net-a-porter.com. Etro, $495; net-a-porter.com.